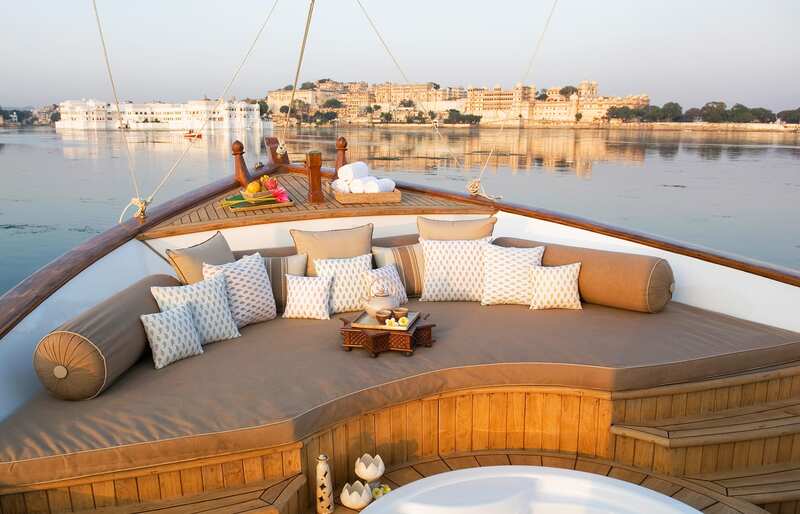 As mist lifts from the quiet water, the white walls and domes of the Taj hotel rise from the middle of the Lake Pichola as if they were part of a fleeting dream. 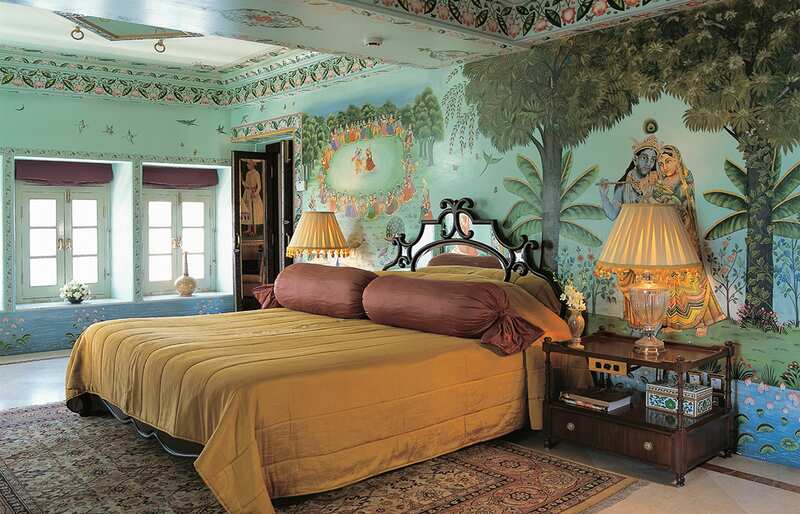 It could just as well be a dream—but the Taj Lake Palace is real. And it really is a palace. 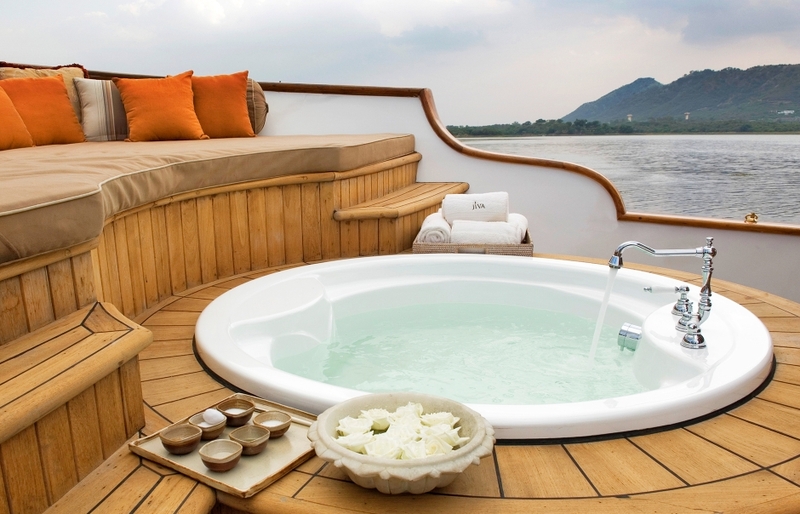 From time to time we get the chance to visit and stay at a beautiful heritage hotel, but rarely we see a property that embraces its history and authenticity as sincerely as the Taj Lake Palace. After all, it was built as a pleasure palace of Maharana Jagat Singh II from the royal dynasty of Mewar. Today the Palace carries on as a luxury hotel, offering a somewhat wider clientele a taste of the experiences and luxuries once enjoyed only by film stars, dignitaries and royalty. We checked-in for a couple of nights only—but it was enough to get into the spirit of the place, and its atmosphere of the bygone era luxury. Our stay began with a romantic ride on a little wooden boat (the only way to reach the hotel), followed by a welcome choreographed to include showering us both with rose petals. This went a long way in creating the atmosphere of the classic Rajasthan lavishness—and was only enhanced later by a vintage car ride, private candlelit dinner, and an authentic dancing performance in one of the evenings. 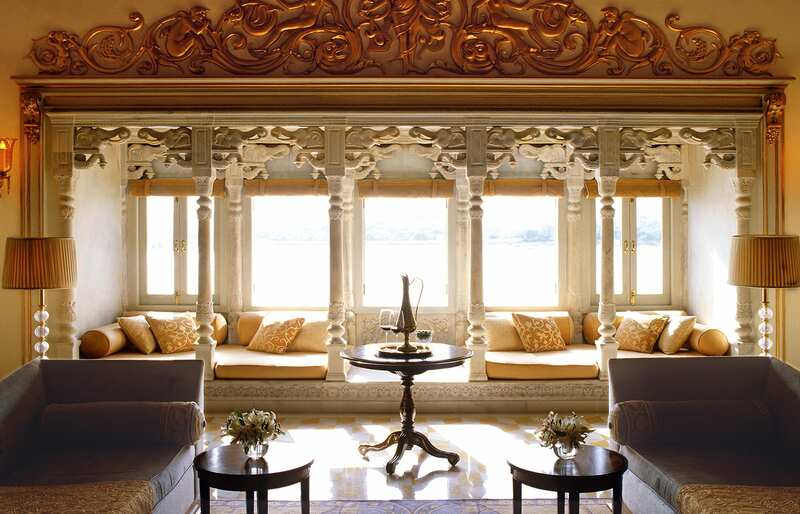 The experience of a heritage property such as the Lake Palace often depends on the quality of architecture and interiors. Taj checks all the boxes here, enchanting its guests with bright domes and cosy courtyards—as well as with the rooms, where preserving the authenticity of original chambers goes an extra mile. Each room is unique in layout and in furnishings. The interior design sticks to the traditional template, where fine silks and traditional patterns abound. 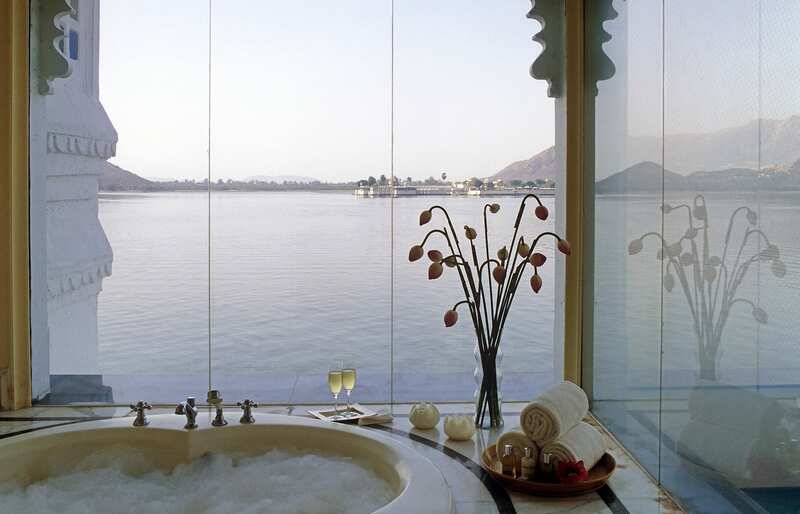 It’s not exactly what we’d pick as our favourite kind of decor, but if it ever looked good it is at the Taj Lake Palace. This hotel charms with a romance of an old-style class—and the service that befits Maharaja. 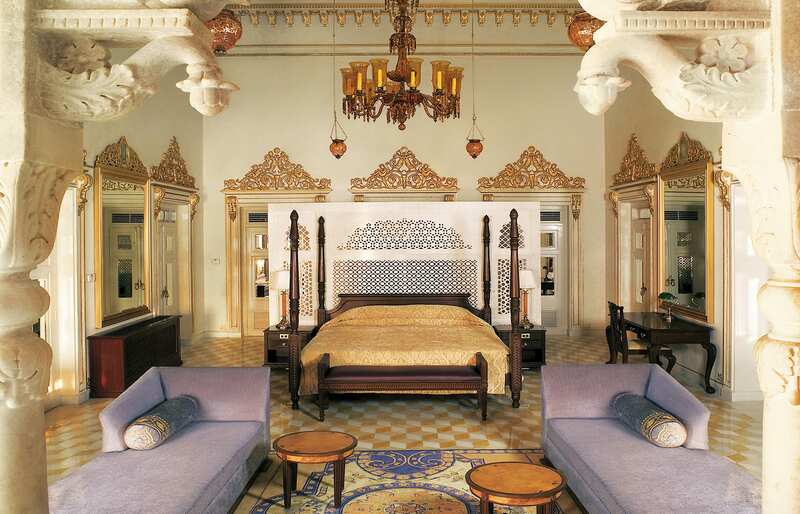 It's one of those places that offer a truly authentic experience—no other hotel in the area offers chambers that once had hosted the rulers of Udaipur. 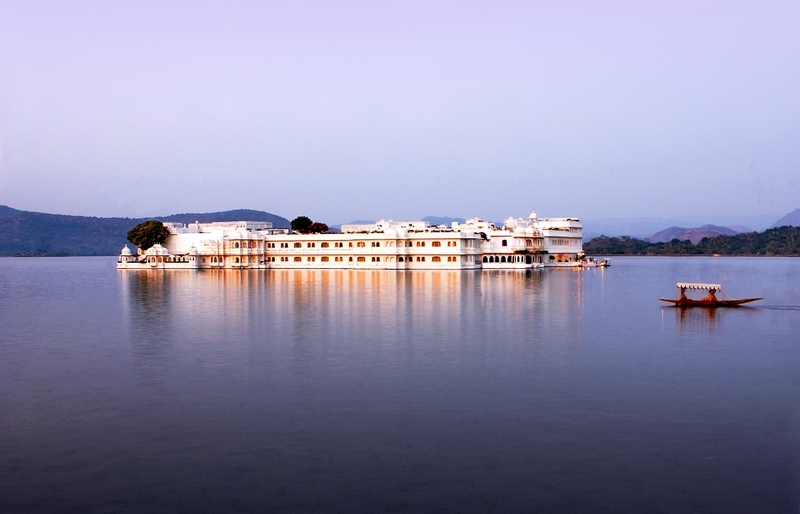 It's a one in a lifetime opportunity to stay at an authentic Maharani palace—in the middle of a lake. 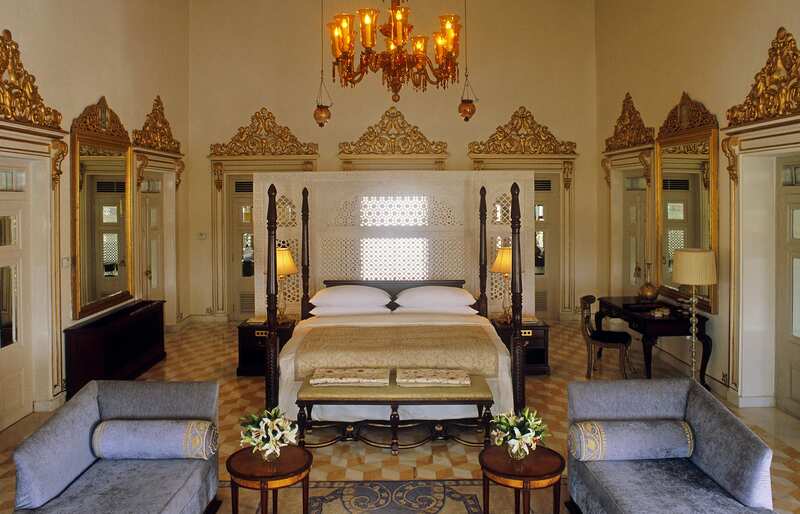 This property has a direct link to the Rajasthan's royalty: originally Taj Lake was built as a pleasure palace. 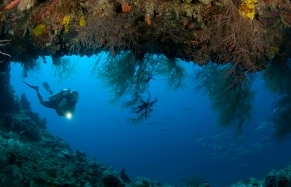 This history and heritage is part of the hotel experience. 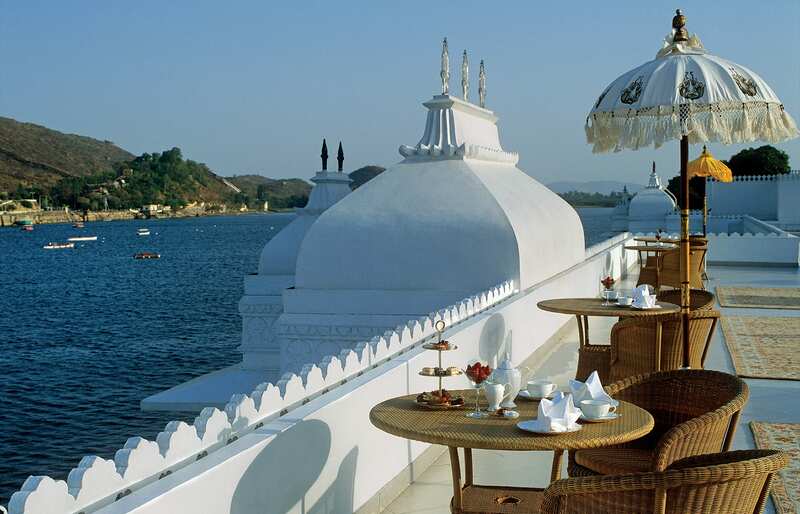 The must-visit place in Udaipur is the City Palace, and guests of the Taj Lake have a free access to the palace grounds. The service is Maharaja-worthy too. Our Royal Butler was on hand 24 hours a day. All our whims were catered for in graciousness and speed. 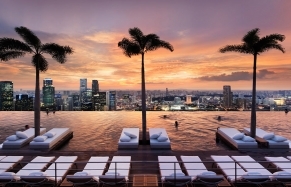 Our favourite spot at the hotel was the brilliant swimming pool area, which, although on the small side, had chic white sun loungers and lovely latticework arcades. The hotel offers some great romantic activities, such as dining under the stars on the lake (on a floating platform). 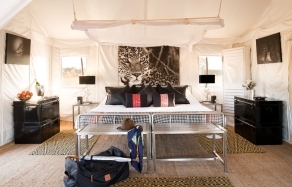 With all the heavy patterns the interior design of the guests rooms may not be to everybody's taste. The hotel could do with a bit of an update, and we are convinced it could be done without losing any of the authentic charms. There are a lot of pigeons nesting at the hotel—so many that their droppings are a problem. Make sure to do some research prior to booking as sometimes in the dry season the water can completely disappear from the lake. Udaipur Airport is some 40-minutes driving from the hotel and the main railway station is just four kilometres away. We were touring Rajasthan by car, which was a fantastic way to discover the country and offered a great flexibility. Highly recommended.